Manoeuvring your bike is one of those tasks that's simple if you follow a few basic rules. If you're not able to get two feet flat on the floor, hop off onto the left side away from the traffic and always keep the bike leant against your hip so you don't have to support all its weight. If that's not possible don't let it tilt away from you or it will quickly get away from you and crash onto the ground in a symphony of expensive cracking, splintering sounds. 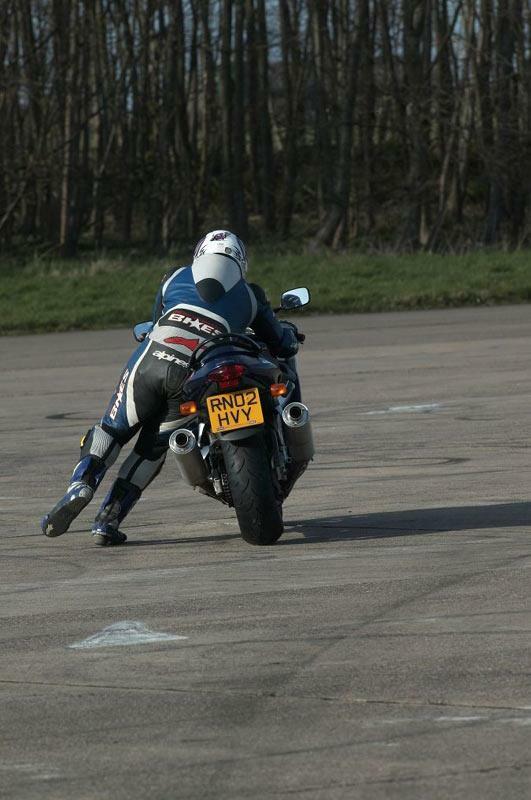 Watch the gradient of the road or slope and keep your hand on the front brake to stop it running away from you. When you're turning the bike it¹s better to get it onto full-lock so that you lose that hinged effect and you get the job done more quickly. Grabbing one bar and the rear grabrail is more stable than both hands on the bars when you are turning a bike around.